SJ Justice is a fully responsive Law Firm Joomla Template that allows you to create individual attorneys, lawyers, law firms, personal injury attorney, personal injury lawyer and for any legal and law related small business firms. With modern, clean and professional layout, this business Joomla template makes sure of your potential client to visit your site. The template comes with lots of real world features to build a law firm website such as: services, trusted attorneys, legal news, areas of practice, blog and much more. 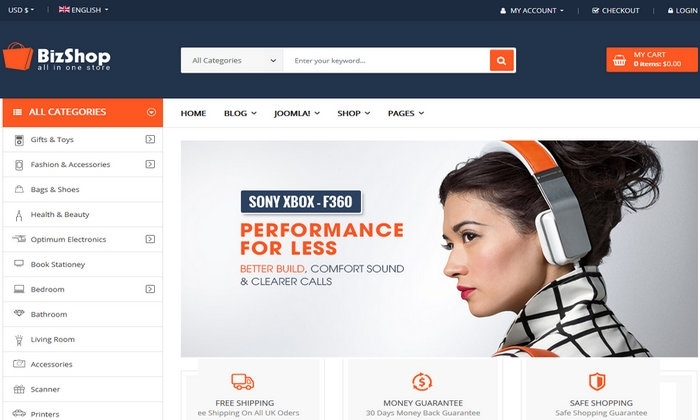 Matrix is a responsive multipurpose eCommerce Joomla template for VirtueMart 3 Component. It is ideal for any retail online stores from fashion store to technology store.